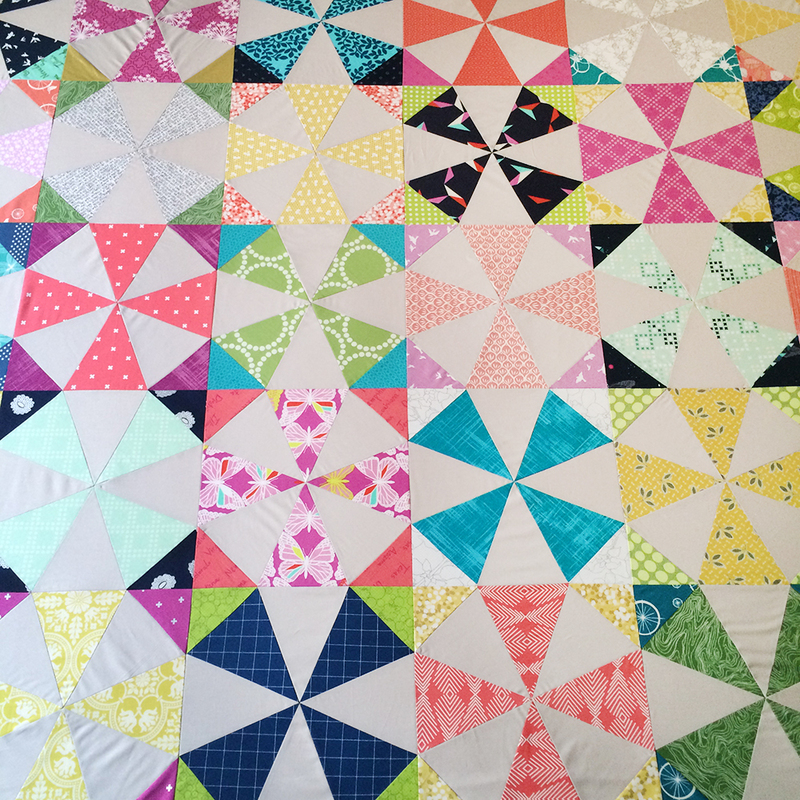 Sorry it's been a bit quiet around here the last few days, but I promised myself I wouldn't post again until I finished my Scrappy Kaleidoscope quilt. And it's done! I love this quilt so much - it's going to be a hard one to give away. But the recipient deserves much thanks for all her work and care over the last year, so I'm happy to have made something pretty for her. The prints are scrappy and the background is FreeSpirit Solids Sand Dune (personal favorite). As I mentioned in a previous post, I made this quilt by paper piecing 12" (finished) kaleidoscope blocks. I made a paper piecing template, and you can download it here. Be sure to print 4 copies at 100% or Actual Size to make your own 12" block. There are 30 blocks in this quilt, and it measures 60" x 72". I quilted it in a meandering free motion design. The lighter colors just didn't photograph well with the quilting texture last night, but it is oh-so-pretty in person and I wouldn't change one piece of fabric. Above is a nice shot from while I was getting ready to baste. The backing and binding are Wordfind in Pink by Melody Miller for Cotton + Steel, part of her Playful collection. I love it so much! I've also pieced in a specially embroidered label on the back, with To, From, and Date details. Sorry, no pics as I don't want to spoil the surprise too much. Next up, basting and quilting the Cubs Quilt! I'm thinking straight lines for that one. My back is sore just thinking about it!